Hello food lovers! 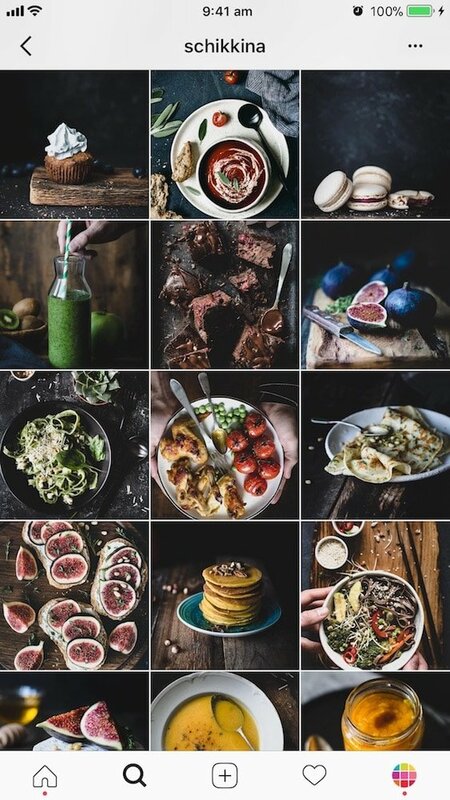 Are you looking for some inspiration for your food Instagram feed? 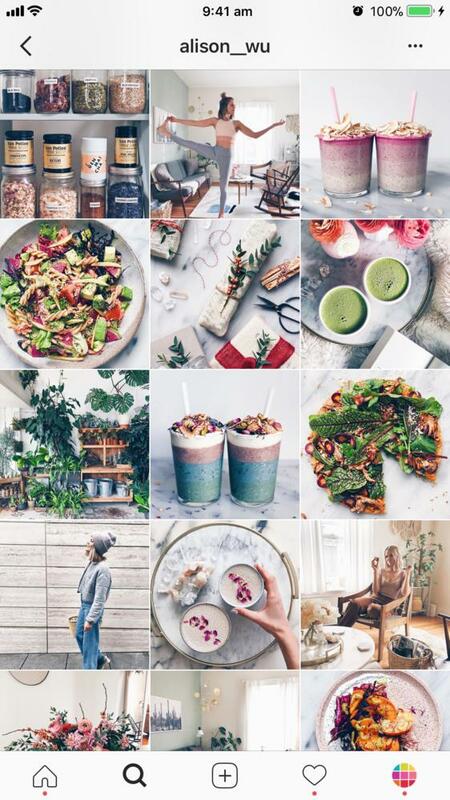 All the beautiful food Instagram feeds have one thing in common: they have a consistent Instagram look. Making a consistent Instagram feed is easy when you know what to pay attention to (like the background of your photos and the colors). 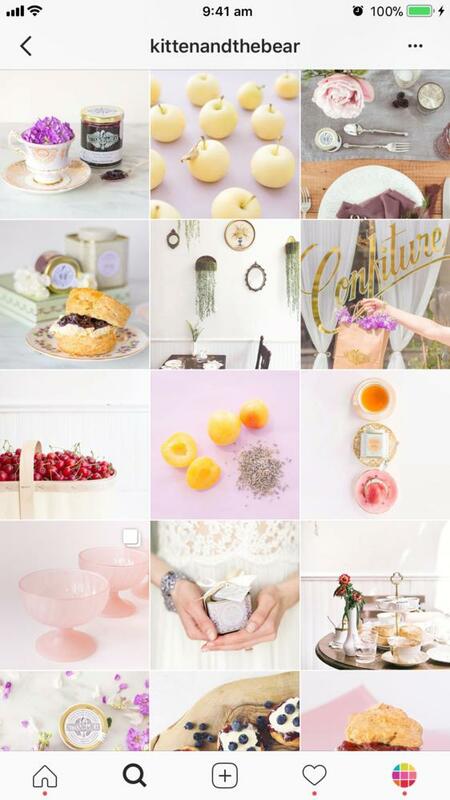 As usual, I’ll share tips about each Instagram feed idea (like what filters to use). 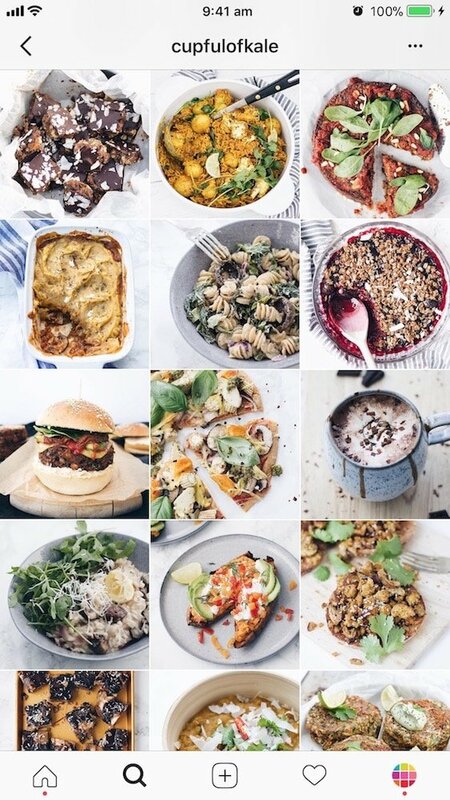 If you want to try some of these feed ideas right now, you can use Preview app. 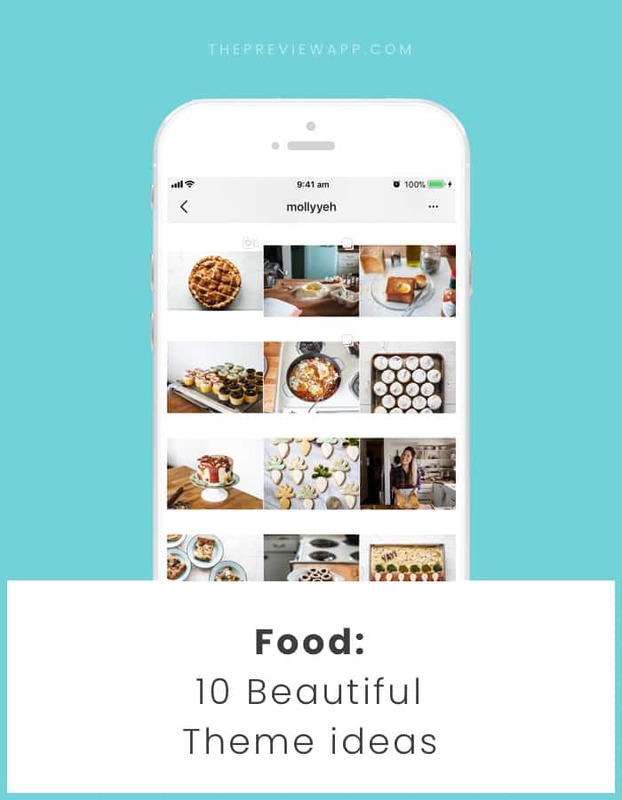 It’s an app made to design your Instagram feed. 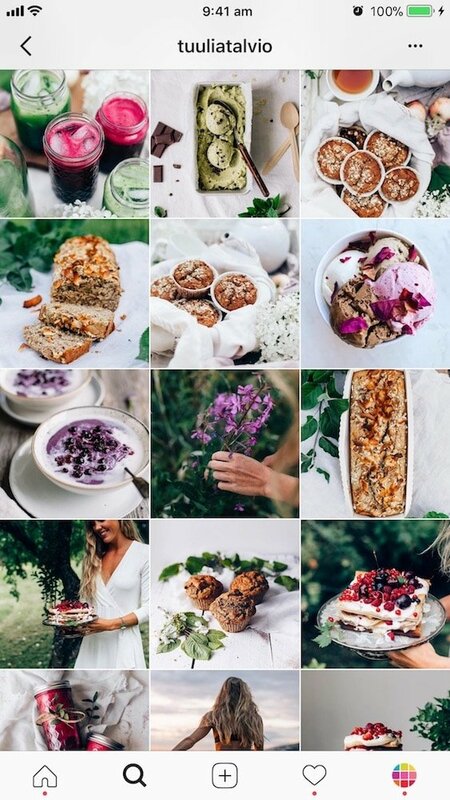 Let’s start with a fresh and bright food Instagram feed. Very important: Make sure you have plenty of natural light. Light is EVERYTHING when you take your food photos. Put your food next to a window (not in directly in the sun). It will make your photos look cleaner and more professional. Filter: Try the White Filter Packs in Preview app. These filters are good to make a bright, clean, white Instagram feed. Background: Don’t want a white background? It’s okay. Just make sure the background is the same in almost all of your photos. It will help people see your food better (the star of the show). Good background = less distraction = better looking food Instagram account. 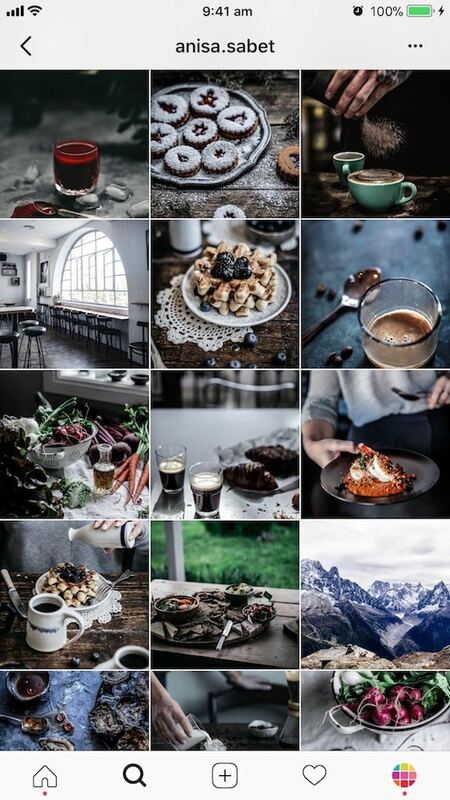 If you don’t like a white Instagram feed for your food account, try a dark / moody one. 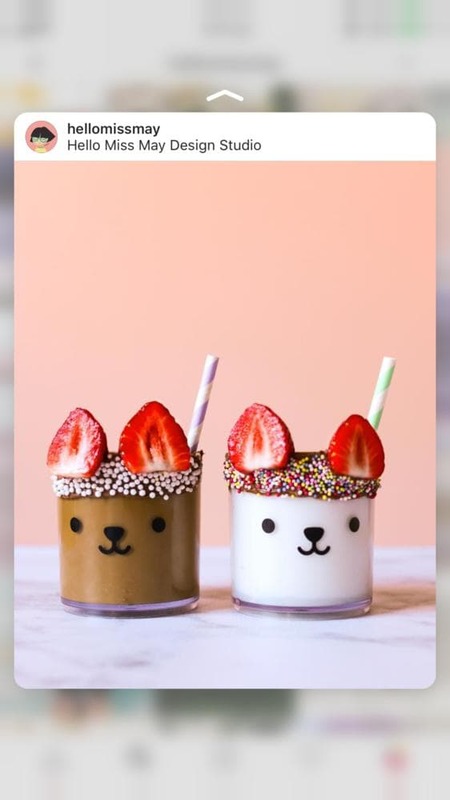 It’s also a very popular food Instagram style in the community. It is mysterious and captivating. Filters: Use filters in the Dark or Moody Filter Pack for a deep, dark look. If your photos are already dark enough and you just want to bring out the colors, try the Colorful Filter Pack. Vera’s step-by-step tutorial on how to take photos with dark background. 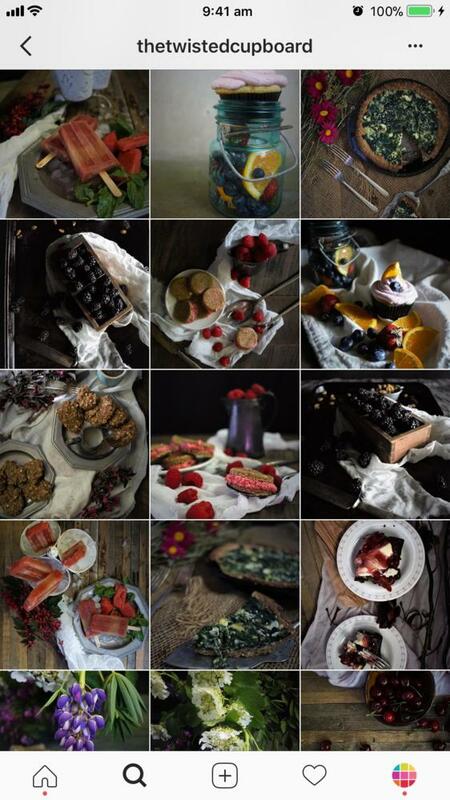 Rachel’s trick to take dark, moody food photos. Don’t get me wrong! All the Instagram feeds I’m showing you are fun. 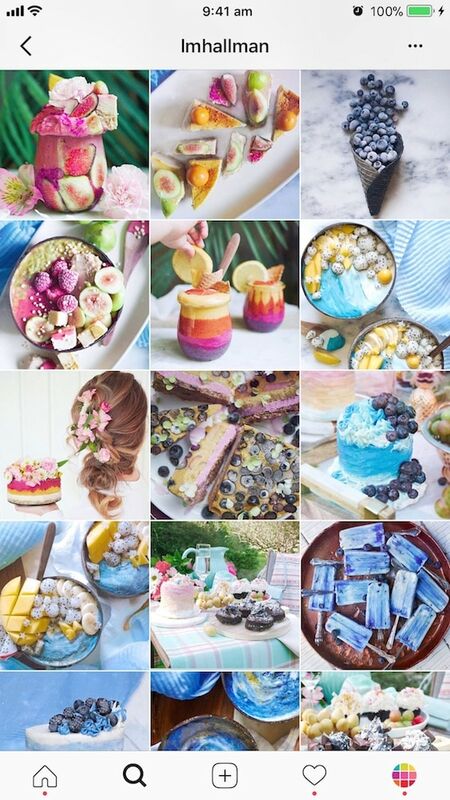 But the Instagrammers (below) play with their food and create fun things with it – they’re making the buzz. Everyone stars reposting their photos. They are becoming popular because of certain fun photos that become their “signature dish”. When you create something “weird”, it will catch people’s attention. Think about a panda cupcake or a Darth-Vader cookie. Some of your photos (and your account!) can go viral. 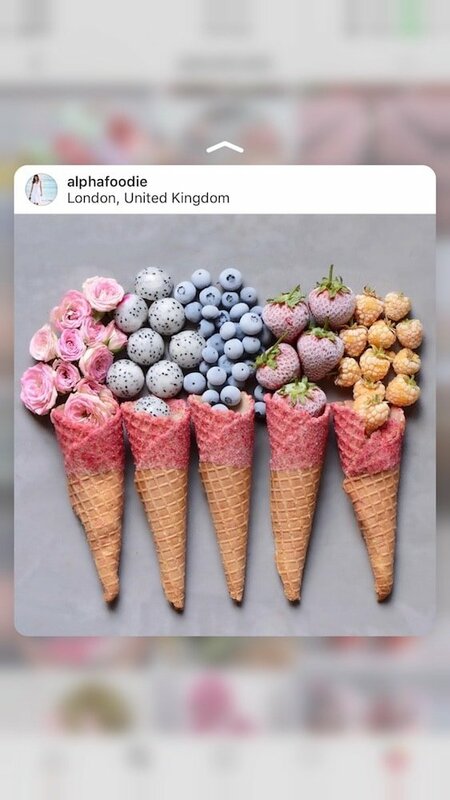 Can you make something fun and creative with your food too? Not all your photos have to be like this. 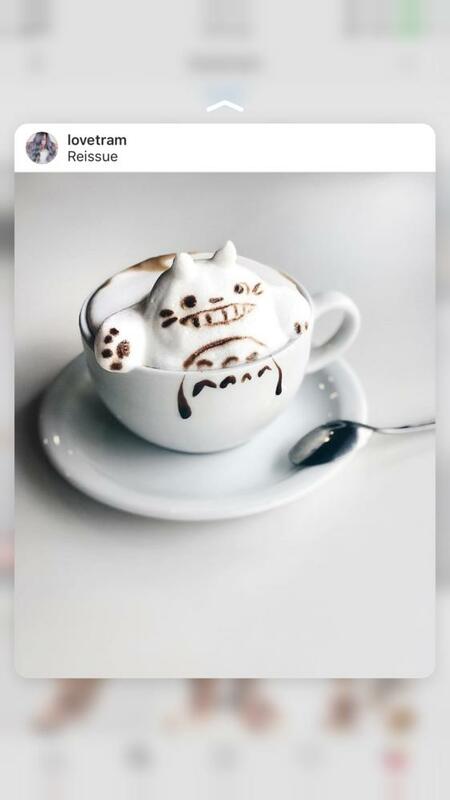 Try to create something fun with your food from time to time. People love things that are out of the ordinary. Extra tip: Add a watermark on your photo with your Instagram username. This way people will know your account if your photo gets reposted everywhere. 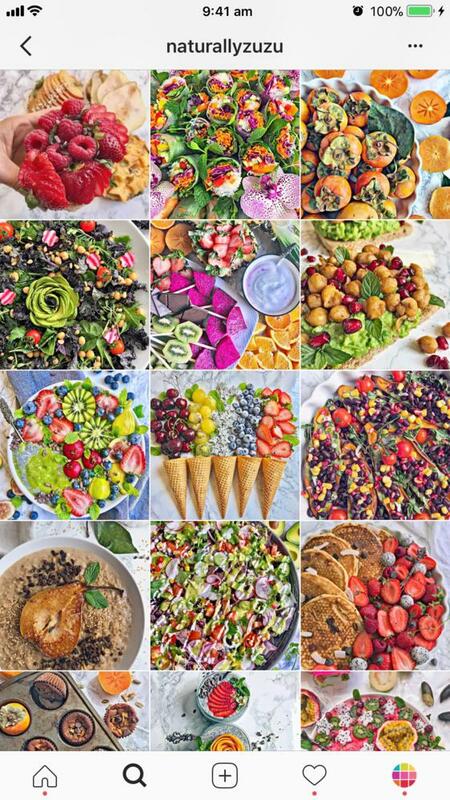 A lot of food Instagram feeds also love to color coordinate. What is a color coordinated feed? A color-coordinated feed happens when you use the same colors, all the time, in almost all your photos. These colors become your signature. It means that people can recognize your account by just seeing one of your photos. They recognize the color combination you always use in your photos. @misspetel: Always a white background and always a pop of pink. Other colors that sometimes pop are brown and black. But pink is the signature color. @tuuliatalvio: White, wood (background), green and pops of red. @vanelja: Almost always white background, and pop of pink and purple (from the food, flowers or petals). The hint of purple is her signature. Up to now, I’ve only shown you feed that show food only. Another feed idea is the “lifestyle” feed. 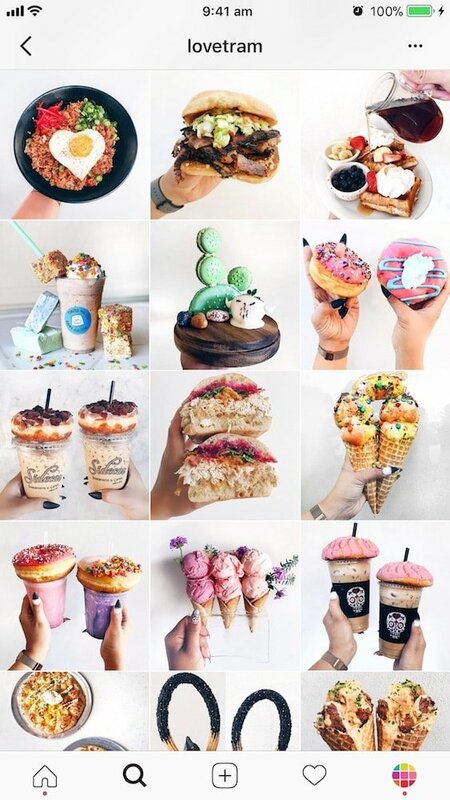 Food is the love of your life and the main topic of your Instagram feed. But you also want to show other sides of your life. 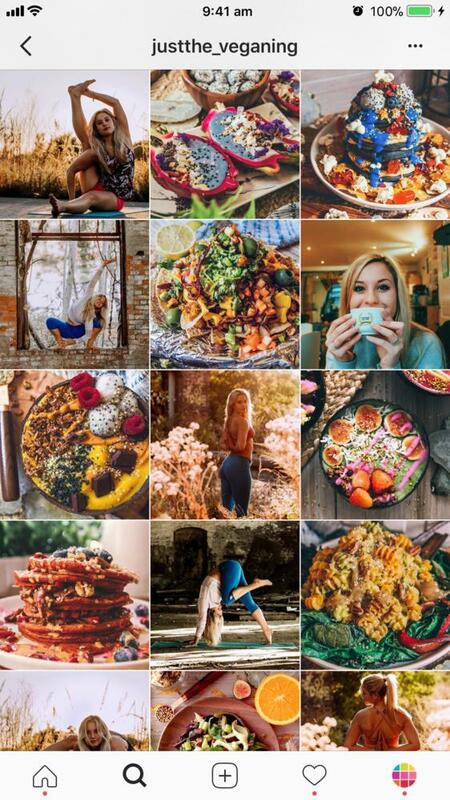 So the lifestyle feed idea is perfect for you. 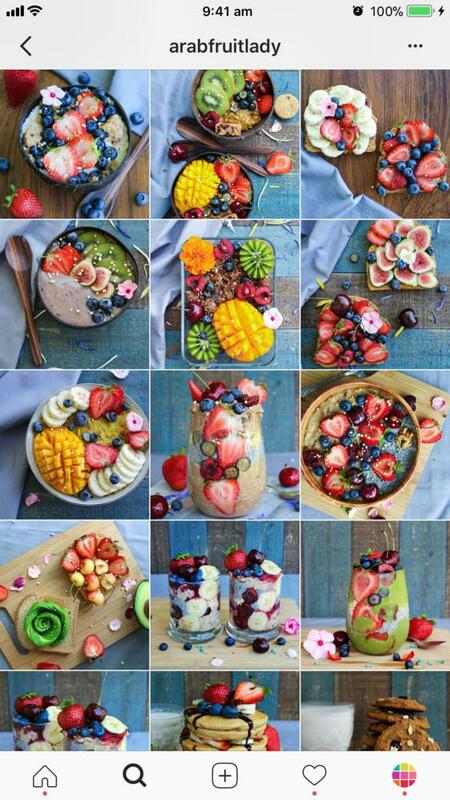 @justthe_veganing: AnnMarie shares her food and yoga practice. @talinegabriel: Taline is all about food, quotes, puppies and fun things in life. @alison_wu: Alison shares her passion for food, wellness and lifestyle. 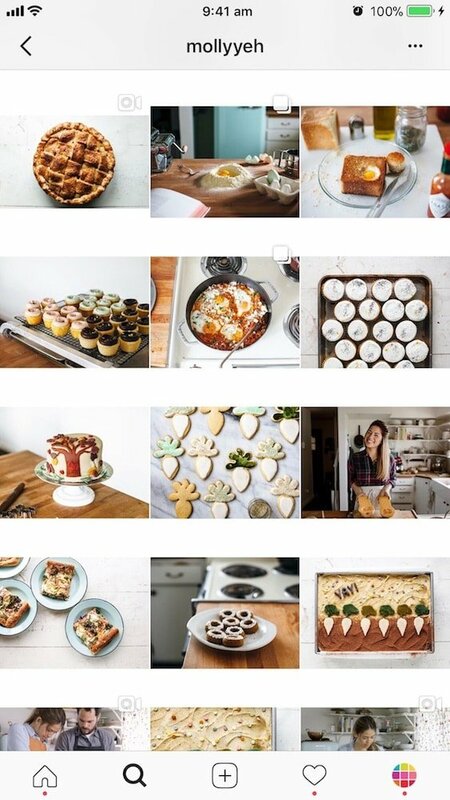 I was not able to find many food Instagram accounts using white borders (only @mollyyeh). So I made my own inside my Preview app to give you an example of what you can create (see below). 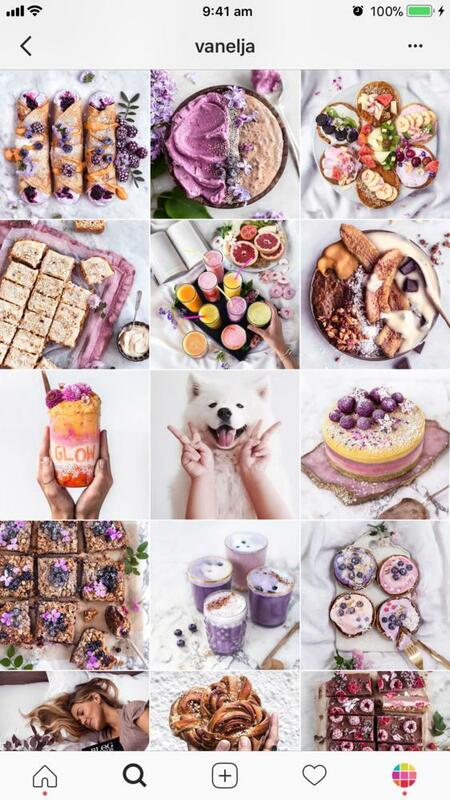 Question: Why don’t many food account use white borders? One simple answer: Many food bloggers want to be featured on big accounts. If you use a white border, your photo won’t fit with the big account’s feed. They might not want to repost your photo just because you have white border. If that’s not an issue for you, then think about creating a feed with white borders. You’ll definitely stand out! My favorite white borders in Preview app are: “Aura”, “Sole” and “Vela”. Mavi @avantgardepty is the only account I could find who does this. She uses each “row” on Instagram to tell a different story. If you look closely, the photos that are on the same row are related to each other. The “Row by Row” feed design is a really creative way to show your food. 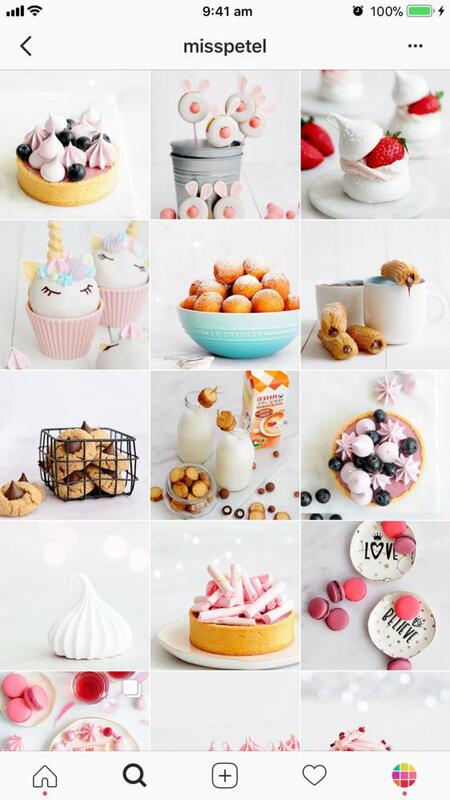 Colorful food Instagram accounts are an awesome Instagram community! 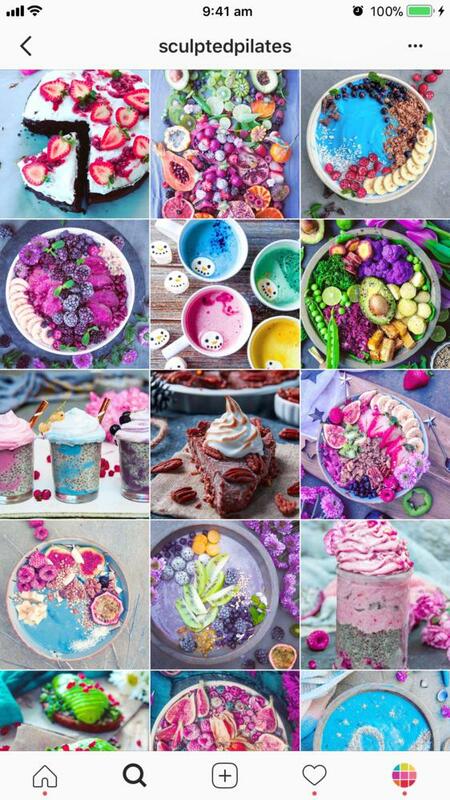 If you’re taking photos of very colorful food, you might want to make a colorful food account. Try the Colorful Filter Packs in Preview app. This is more of a photography tip than a “feed idea”. But it can make ALL the difference when you’re trying to make a beautiful food Instagram feed account. It would be a shame not to mention it. It’s something we often overlook: Do you take your photos from the same height and angles? Take your photos from the same height. It will make all your Instagram photos look very consistent. Because Instagram is a visual platform. 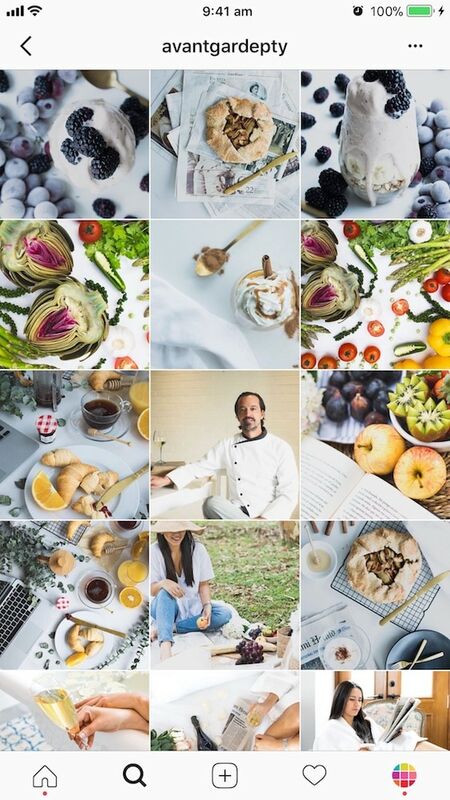 You want to make it as easy as possible for people to scroll through your feed and see your beautiful food. This is a quick and easy trick to make your photos look better instantly. As you can see, @cupfulofkale, @arabfruitlady, @lovetram are taking almost all of their photos from the same height and angle. It makes their feed look delicious instantly! Choose your favorite height and angles – and stick to them! And the last feed idea has to do with how much “stuff” you put in your photo. Do you like to keep it simple (minimal)? Or full of food? Both styles are awesome and captivate our attention. 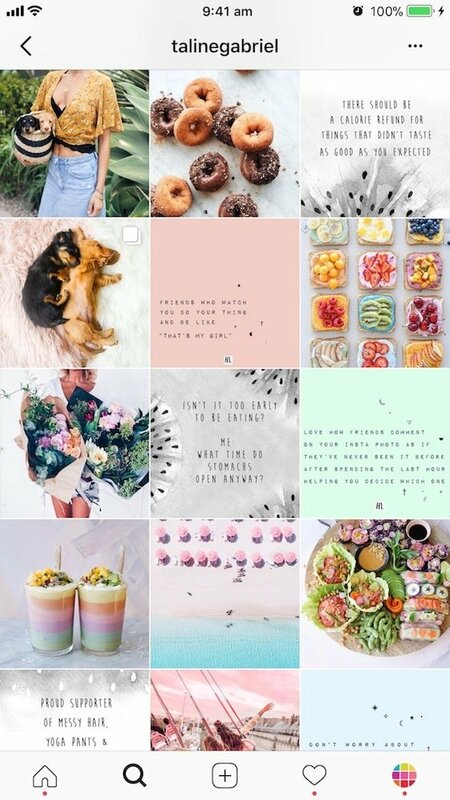 If you are a beginner, I recommend you to make a minimalist feed. It will be easier to start. The more “stuff” you add on your table, the more you have to style the shot. Keep it simple at the beginning. Then slowly start to add your own touches and personal style (with utensils, cloths, flowers, etc…). The magic of negative space: Leave a lot of space around your food. This is called “negative space”. It will make your feed look “minimal”. 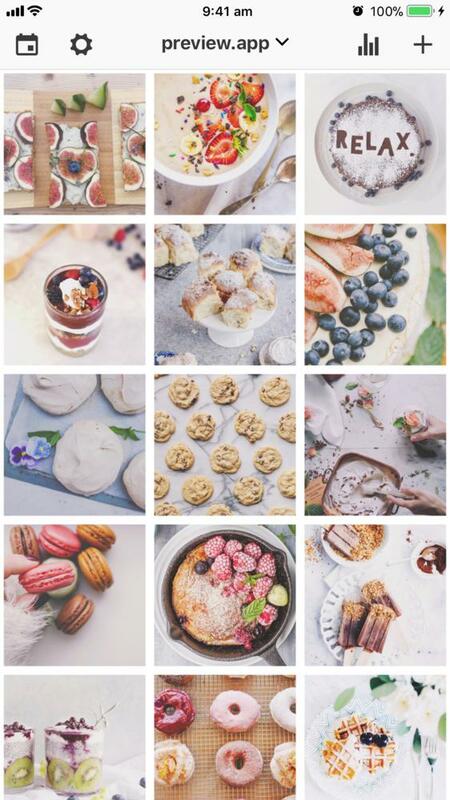 Share your food Instagram account with us! I hope that this article gives you a lot of ideas and inspires you! And I really hope that you’re not feeling overwhelmed. Take your time to decide what style you want to create. There’s no rush! Have fun making your food feed!